Former Governor Mallam Isa Yuguda of Bauchi State has filed a N10 billion suit before the Bauchi state high court against an All Progressive Congress Chieftain Alhaji Sani Shehu for alleged defamatory utterances against his personality and his administration.The Counsel to the plaintiff (Yuguda ) Barrister Okechukwu Nwaeze told journalists in Bauchi ‎ that the former Governor is seeking a N10 billion damages in an action against Sani Mallam over his allegation that that Isa Yuguda is corrupt and fraudulent during his tenure as the Governor of Bauchi state‎. 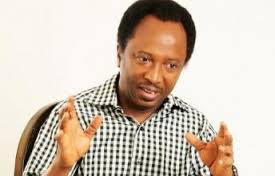 “It is not right to persecute people in the media if the man is guilty of any fraud, the defendant should provide the proof or otherwise focus on his political activities,” Nwaeze said. Justice Muazu‎ Abubakar has adjoined the case to 6 October 2015.